Robert DiLibero is known for establishing and maintaining personal contact and good communications with his clients as they go through what is often one of the most challenging times of their lives. Robert DiLibero was raised in Providence, Rhode Island, before moving to Massachusetts to attend Boston University. As a child of the 60's, his academic path took a circuitous route with a year off to serve as a VISTA Volunteer on the Rosebud Sioux Indian Reservation in South Dakota, followed by nearly four years of service with the United States Army Security Agency with assignments to Bad Aibling, Germany, the National Security Agency, Cu Chi, Vietnam and Two Rock Ranch Station in Petaluma, California. He received a B.S. in English from Boston University after his military service, and then began his legal studies at the New England School of Law where he was a member of the New England Law Review and President of the Student Bar Association. Upon receiving his Juris Doctor, he was employed at the Norfolk Probate and Family Court, and was promoted to the position of First Assistant Register of Probate soon thereafter. Attorney DiLibero established his own practice in 1980, and has concentrated on Probate and Family Law matters for nearly 30 years. He has honed his litigation skills with regular court appearances and trial work in the Suffolk, Middlesex, Norfolk, Essex, Bristol and Plymouth Probate and Family Courts. He has also argued cases before the Massachusetts Appeals Court and the Massachusetts Supreme Judicial Court. 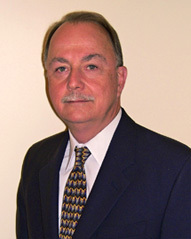 He is an experienced Probate and Family Law Mediator, and an original member of the Massachusetts Collaborative Law Council. He is also a member of the Probate and Family Law Sections of the American and Massachusetts Bar Associations, and is admitted to practice in the Federal District Court for the District of Massachusetts and the U. S. Tax Court. Attorney DiLibero has received an "AV" peer review rating from Martindale Hubbel, which signifies his preeminent legal skills and high ethical standards.